I was contacted by Charlene Carr and offered a free e-copy of this book in exchange for an honest review. 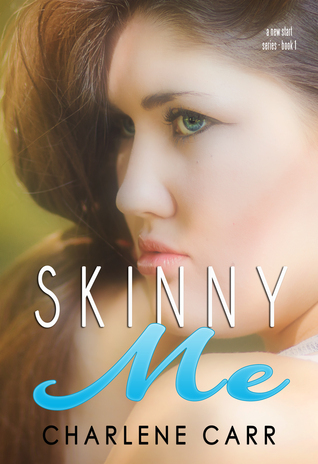 As I was reading Skinny Me, I couldn’t help but develop a bad taste for Jennifer. I’ve had family that have lost hundreds of pounds and I understood that there is more to getting healthy than the physical side. It’s an emotional battle. And yes, by the end, Jennifer redeems some of her more unlikeable qualities from earlier in the book. But the way she treated people, especially her own cousin who was nothing but kind to her for the entirety of her life? That really bothered me. Even when she was trying to be happy with herself she was still jealous of what others had. It seemed very petty and childish and as though she wouldn’t be able to flip a switch with those sorts of character traits holding her back. She wasn’t the worst character though. And I enjoyed all the other characters and their diversity. Part of me thinks Jenn was written as a character we were meant to “love to hate.” Kudos to Carr for achieving that, as it’s not an easy feat. The plot was sound and wrapped up nicely, though rather quickly. Overall a good, quick read. Just be prepared to not love Jenn. She’ll make you roll your eyes and appreciate what you have for how little she appreciates everything she’s been granted. But she definitely portrays how extreme the mental aspect of losing weight can be. I don’t know that I would ever go out of my way to recommend this book to someone. But it was a nice change of pace for me and gave me a different perspective on a subject I don’t know much about.